UPDATE: Student Grouping: What is effective? This is an updated version of an earlier post, based on new research I included. The decision-tree has been updated! You can find a Google Doc version of this here. Student Grouping: What is Effective? How do we leverage student grouping to best promote achievement? This is a question teachers and administrators ask themselves almost daily. Unfortunately, there are few clear or easy answers. But we can draw out a few general principles from recent research and other sources of knowledge that may help to inform our instructional practice. It’s important to acknowledge there’s often a steady pressure on teachers to utilize group work. And for some teachers, grouping students by ability can make serving a wide disparity of different levels of students more manageable. But there’s an often unstated assumption: group work is inherently superior to whole class or independent learning. 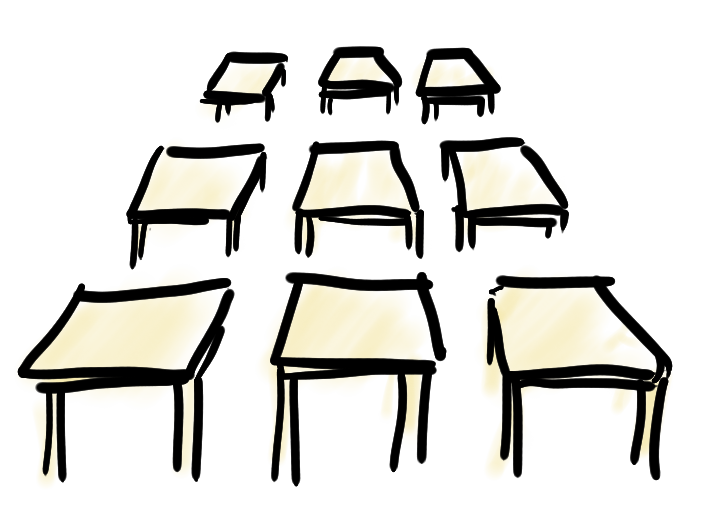 But is group work always better than other modes of learning? OK, but what are the times when group work is appropriate? “. . . an understanding of memory systems has profound implications for instruction, which include creating systematic and intentional scaffolds of students’ understanding rather than leaving them alone to discover information independently. That’s not to say that students should not work together in collaborative learning; they should. We have argued for productive group work in which students interact with one another and generate ideas to produce individual works (Frey et al., 2009). But this work must center on the consolidation and application of content that students already know. It’s neither the time nor the place to introduce new information. Doing so would overload the working memory system and fail to ensure learning” (Bold added). In other words, Fisher and Frey suggest that new concepts and information should not be introduced during group work. Group work should instead be used for reinforcing, consolidating, and applying information students have already been exposed to. But I later came across another study by Paul Kirschner, John Sweller, Femke Kirschner, and Jimmy Zambrano, “From Cognitive Load Theory to Collaborative Cognitive Load Theory,” that contradicts this. Instead, Kirschner et al. suggest that working as a group creates a collective working memory, and that therefore group tasks should be more complex. Therefore when assigning group work, ensure that the task is complex enough to warrant collaborative effort. So we’re engaging groups of kids in complex tasks. Now how do we ensure students are productive during the times when they do work as a group? Here it can be instructive to look at some of the analysis coming out of the business sector. Fostering productive teams, after all, is critical to the success or failure of many modern businesses. One finding from the business realm that will make immediate sense to educators is that creating a context that fosters shared identity promotes productivity. You can read more about this research in “Spaces the Signal Identity Improve Workplace Productivity,” in the Journal of Personnel Psychology. We know that giving our students a sense of belonging and recognizing who they are and what they bring is critical to fostering a positive school community. But it’s good to know that it also can improve group performance. Another finding is that how a team communicates is what determines its effectiveness. As presented in an article, “The New Science of Building Great Teams” in Harvard Business Review, effective teams communicate more equitably and with higher engagement. And even more critically for consideration in a school context, socialization outside of formal meeting time has a huge influence on team effectiveness. What this means for educators is that fostering effective group work requires time and training. Furthermore, as described in a passage “Group Dynamics for Teams” by Daniel Levi, this training requires norming, socialization, and building cooperative skills. Educators know that many of our students struggle with social skills and working productively together. These skills must be taught and developed. Similarly, moving into research from higher education, in “What makes a ‘good group’? Exploring the characteristics and performance of undergraduate student groups” the authors argue that if “team working skills” are “important as a learning outcome, they must be assessed directly alongside the task output.” In other words, if a teacher is going to utilize group work for a task, they must establish explicit learning objectives for the skills practiced in the group work itself, not only for the content of the task. This again reinforces the idea that when we do use group work, we must do so strategically. This builds off of Robert Slavin’s review of educational research, as outlined in an ACSD article, “Cooperative Learning and Student Achievement,” which suggests that not only must effective group work have group goals and rewards, but also must hold each individual accountable for their contribution. Group work which incorporates only one aspect of those two critical components (group goals and individual accountability) demonstrates little benefit to learning, whereas group learning which incorporates both is far more effective. Even adult research teams require training and practice to develop intrapersonal awareness, foster shared norms, and to understand that conflict is normal, as suggested by a paper “Creating and maintaining high-performing collaborative research teams: the importance of diversity and interpersonal skills.” The authors further suggest that fostering diverse teams is essential to productivity. This latter insight, that diverse teams are more productive, may be one of the most useful within a classroom context. Various studies, as presented in an article on Harvard Business Review, “Why Diverse Teams Are Smarter” by David Rock and Heidi Grant, suggest that ethnic and racial diversity makes for more effective, deliberative, and innovative teams. This is an important consideration for teachers when forming groups. In other words, group homogeneously to engage low-skilled students; group heterogeneously to deepen comprehension. However, it’s important to note that research on homogeneous vs. heterogeneous grouping is mostly unclear. Ultimately, how a teacher chooses to group students must be strategic and based on the task and learning outcomes. But overall findings seem to suggest that our default should be mixing students of different backgrounds and ability. When assigning group work, ensure that the task is complex enough to warrant collaborative effort. Student Grouping: What is Effective? by Mark Anderson is licensed under a Creative Commons Attribution-ShareAlike 4.0 International License. An interesting piece in Nautilus makes the claim that cognition and emotions are not distinct functions of our brains (and challenges the concept of a “triune” brain), nor does associating physical sensations or signals confer a deeper read on emotions. Instead, understanding the emotions of others and ourselves stems from learning “emotion words” and making predictions based on the context of a situation and our past experiences. The idea that you can increase your emotional intelligence by broadening your emotion vocabulary is solid neuroscience. Your brain is not static; it rewires itself with experience. When you force yourself to learn new words—emotion-related or otherwise—you sculpt your brain’s microwiring, giving it the means to construct those emotional experiences, as well as your perceptions of others’ emotions, more effortlessly in the future. In short, every emotion word you learn is a new tool for future emotional intelligence. People who can construct finely grained emotional experiences have advantages beyond the expected social ones. Children who broaden their knowledge of emotion words improve their academic performance as well as their social behavior, according to studies by the Yale Center for Emotional Intelligence. This is an interesting idea. It certainly lends itself to the idea that reading a wide range of literature can do much to build our students’ vocabulary of emotional words, and thus, of an understanding of the perspectives and feelings of others. Though if this is true, then why is it that there are those who are widely read and yet are “bookish” and awkward in social situations? Perhaps it is because they are inundated with a much richer and denser swarm of emotional signals than the common nincompoop? Or perhaps it is that there needs to be some balance of immersion in translating the vocabulary and experiences one learns from books into real social situations in order to gain fluency with navigating that greater emotional granularity. Embedded within this article is the implication that a shift to a focus on the teaching of conceptual math, rather than “rote” procedural teaching, led to a swift downturn in math scores. “So this year, the network began reintroducing teaching techniques that had been a staple at Mastery schools for years, while seeking a middle ground between no excuses and restorative practices. It’s a ‘journey of trying to find out what’s the right mix,’ Gordon said. It seems worth digging into this supposition a bit more. Is Mastery’s downturn in math scores due to the failure of conceptual math in general as a pedagogical approach? Or is it a failure of the network to attract and train teachers who can teach this type of math more effectively? Or is it a failure in the assessments that were used as a reference? Or was it that conceptual math takes longer to “stick” and pay dividends? Or was it a failure of the curriculum they used to move in a more conceptual direction? . . .
Have you ever heard of a “low floor (or threshold), high ceiling” task? I’ve stumbled across it over the last few years in the math realm, such as in articles by Jo Boaler, or in tasks by Dan Meyer, and I found it intriguing as a general framework for lesson and unit planning. Finding ways to include both lower and higher performing students in rigorous academic instruction is something I think a lot about, and this seemed worth exploring. However, I work primarily in special education and ELA, not math, so I was having trouble generalizing. 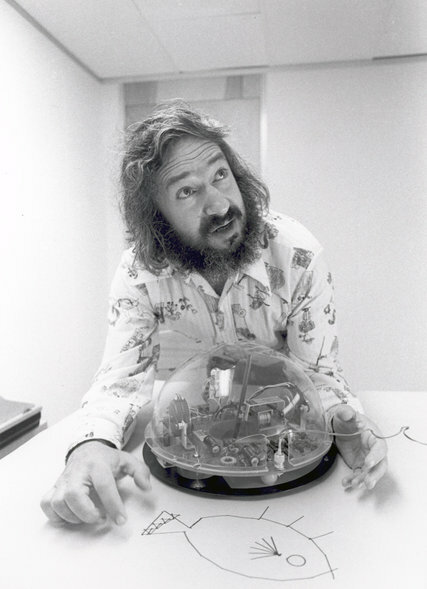 The concept of low floor, high ceiling was first formulated in the 1970s by Seymour Papert, a professor at MIT heavily influenced by Piaget, as a design principle for a programming language called Logo. The idea was to make programming accessible to young children, while simultaneously being usable at a more complex level by adults. A robot turtle was developed to provide concrete access to kids for using the programming language. When discussing technologies to support learning and education, my mentor Seymour Papert (who, sadly, passed away last month) often emphasized the importance of “low floors” and “high ceilings.” For a technology to be effective, he said, it should provide easy ways for novices to get started (low floor) but also ways for them to work on increasingly sophisticated projects over time (high ceiling). With his Logo programming language, for example, kids could start by drawing simple squares and triangles, but gradually create more complex geometric patterns over time. But the most important lesson that I learned from Seymour isn’t captured in the low-floor/high-ceiling metaphor. For a more complete picture, we need to add an extra dimension: wide walls. It’s not enough to provide a single path from low floor to high ceiling; we need to provide wide walls so that kids can explore multiple pathways from floor to ceiling. Why are wide walls important? We know that kids will become most engaged, and learn the most, when they are working on projects that are personally meaningful to them. But no single project will be meaningful to all kids. So if we want to engage all kids—from many different backgrounds, with many different interests—we need to support a wide diversity of pathways and projects.
. . . Our ultimate goal is to help all kids develop their thinking, develop their voices, and develop their identities. None of that will happen unless we continually ask: Who are we including? Who are we excluding? And how can we provide everyone—everyone—with opportunities for exploring, experimenting, and expressing themselves? “Often, designs with well-chosen parameters are more successful than designs with fully adjustable parameters” ← I like this quote. This connects to the idea of constraints. In ELA, this translates into assigning tasks that you would want to do yourself. For writing tasks, this most likely would result in something you’d actually enjoy reading. This is all well and good if you’re designing a gadget or a programming language, and it kinda makes sense in math in the sense of a well-designed problem, but what does “low floor, high ceiling” mean in terms of designing lessons or units in ELA? This is where it gets murkier. Does a concept that applies to design have a translation to academic literacy instruction? Usually in ELA we are engaged with texts. A rich text has multiple layers of meaning and ideas well-worth exploring, but the level of abstraction and demands of the language can be a barrier for many students. We can therefore think of the text itself as the “high ceiling” for many lessons (I think, in any case, I could certainly be off base on this). In many cases, therefore, the “high ceiling” aspect has already somewhat been defined in an ELA lesson (assuming you are studying rich texts together as a class). So then, how you do you provide a “low floor” for all of your students to a complex text? And more abstractly, how do you support a wide diversity of pathways or perspectives? What comes first to mind are the tasks and activities that a teacher designs to prepare their students for understanding the text, for interacting with the text, and for responding to the text. For an exemplar of this type of scaffolding, I highly recommend taking a look at Lesson 2 from Stanford’s Understanding Language unit on persuasion, specifically at how they scaffold student understanding of the Gettysburg address through multiple readings that are even fun. Close reading instruction will readily fail when a teacher simply asks students to re-read a complex text multiple times with no varied and scaffolded forms of engagement. I think the most critical consideration for “wide walls” and spanning from low floor to high ceiling is what sort of questions you plan. For example, for an 8th grade unit I co-designed on the topic of segregation, we generated a series of questions, ascending from elemental (“What is segregation? What is integration?”) to provocative and open-ended: (“NYC schools are largely segregated by race and class. Is it possible to provide all children an excellent education in a segregated school system? If so, how? If not, why not and what steps must we take to fix this?”). That final question represents the cumulative question for the unit. There’s certainly room for different ways of expressing knowledge based on a student’s own perspective on the topic. This could be via an essay, an action plan, a presentation, or a socratic discussion, as a few possible examples. A critical element to both “low floor” and “high ceiling” is designing units and lessons around a provocative question. For example, watch this video of master teacher Sarah Wessling Brown modeling a high school ELA lesson on monsters (Easter egg: see if you can spot me in the background). She asks the provocative question, “What do monsters teach us about human nature?” and then designs engaging activities to engage students in the texts and knowledge they need to explore it. I think questions like these embody what LFHCWW design is all about. They provide both engagement, and therefore access, but have ample room for sophistication and complex thinking. One mistake some teachers make is to assume that a “higher order” question is beyond the purview of their struggling students, and they try to dumb down their questions. My advice is to worry less about the “cognitive level” of a question, and more about the language that you use and the manner in which you phrase it. Language and phrasing can either present a barrier to understanding, or a scaffold. A precisely constructed question provides the initial direction and language that students will need. But this post is getting overlong. How do you think the concept of a task with low floor, high ceiling, and wide walls can apply in ELA classrooms? Share, and let’s build a common understanding of what this might mean in our lesson and unit design. You would not likely mistake me for a Dewey eyed constructivist. I get kind of dogmatic against the teaching of skills over literary content, for example, though I’m not quite so hard line against progressive instructional precepts as some, such as Harry Webb (my favorite ed curmudgeon. Read his blog regularly). If you’re really bored, you can read some of my circuitous expositions against constructivism here or here for further confirmation of my anti-constructivism. But I’m moving into my 6th year of teaching special education, and my thoughts on progressive instructional approaches have shifted. Let me explain why, then let’s examine three articles that might provide some corroboration of my reasoning. But after experiencing how effective well structured experiential group learning could be, I shed some of my cynicism. My co-teacher and I later brought the methodology to our own students and planned what we called an “Inquiry Day” on the issue of segregation (you can see the full unit we developed here), providing our students an opportunity to learn directly from group-guided interviews with inspiring thought leaders and activists. This experience for my students was just as powerful as it had been for me as an adult on Coro ELC strategy days. I work with students who are often so accustomed to failure that they have long given up putting forth effort. Finding methods to include and engage them are just as critical as providing them with essential domain-specific knowledge. This is why I have shifted in my thinking. Elizabeth Green, one of the sharpest minds in the realm of education journalism, recently published a book, “Building a Better Teacher.” In a controversial sample from the book on NY Times, “Why Do Americans Stink at Math?,” Green presents a challenge to the traditional lesson format many teachers use. The “I do, we do, you do” format (something I utilize in my own lesson plan template), stems from principles of direct and explicit teaching: the teacher models and demonstrates, the students practice with guidance and feedback, and then practice is conducted independently. How could you teach math in school that mirrors the way children learn it in the world? That was the challenge Magdalene Lampert set for herself in the 1980s, when she began teaching elementary-school math in Cambridge, Mass. She grew up in Trenton, accompanying her father on his milk deliveries around town, solving the milk-related math problems he encountered. . . .
She knew there must be a way to tap into what students already understood and then build on it. In her classroom, she replaced “I, We, You” with a structure you might call “You, Y’all, We.” Rather than starting each lesson by introducing the main idea to be learned that day, she assigned a single “problem of the day,” designed to let students struggle toward it — first on their own (You), then in peer groups (Y’all) and finally as a whole class (We). The result was a process that replaced answer-getting with what Lampert called sense-making. By pushing students to talk about math, she invited them to share the misunderstandings most American students keep quiet until the test. In the process, she gave them an opportunity to realize, on their own, why their answers were wrong. . . .
Over the years, observers who have studied Lampert’s classroom have found that students learn an unusual amount of math. Rather than forgetting algorithms, they retain and even understand them [Bold added]. Definitely constructivist elements in play here, which set alarms ringing in anti-constructivists minds. Tom Loveless wrote a scathing rebuttal to combat these constructivist implications. But this flip from “I do, we do, you do” to “You do, y’all do, we do” is an instructional approach I find very compelling. The idea of allowing students to process and struggle with something based on their current level of understanding, then slowly unpack those misconceptions and insights via group discussion, is something that I’ve witnessed take place very powerfully in classrooms. This is where harnessing the power of confusion becomes difficult—and risky. Some students are likely to snap sooner than others. “We still don’t know how soon to rescue them from the confusion,” Mr. Graesser told The Chronicle in an interview, and the right answer undoubtedly varies from student to student. Researchers say that confusing students works only if instructors can track and moderate the confusion. There’s the rub: Detecting confusion is hard, especially in the moment. So is controlling it. For an instructor standing before a sea of faces, it’s virtually impossible [Bold added]. This caveat at the end is important: it suggests that to balance confusion with success is extremely difficult to achieve. This can explain in part some reluctance to adopting such an approach wholesale for classroom pedagogy. Great teaching is hard. I’ve had the honor of working with some great teachers, and I’ve seen this approach work. I’ve also seen it fail miserably—most especially when I try to implement it with my own students in a self-contained setting. With students who struggle the most in the classroom, achieving this balance is tricky. We want to “confuse” and challenge our students to unveil their misconceptions, but we also need to engage and motivate them. This is where our next idea comes in. Since we’re all natural problem solvers, it brings us great satisfaction to solve problems put in front of us. Contrary to what it might seem, we actually like to work for results rather than be given them, and this goes for watching films, too. Audiences don’t tend to enjoy films with a lot of exposition and over-explanation or over-simplification of plot and character motive, because it takes the fun out of putting the pieces together themselves; it denies them the chance to engage in the story, to participate in it, which, in the end, doesn’t inspire them to care [bold added]. In other words, engaging our students—making them care—could be viewed as part and parcel of allowing them struggle through something before we provide them with any answers. This beautiful struggle occurs when we figure things out on our own. But in a classroom, such struggle must be carefully designed: “The elements you provide and the order you place them in is crucial to whether you succeed or fail at engaging the audience.” It’s not something that just happens. “Discovery” learning must be rightly critiqued as BS. But a well-crafted problem, designed intentionally to surface deep-seated misconceptions and create productive confusion, can be simultaneously engaging and enlightening.